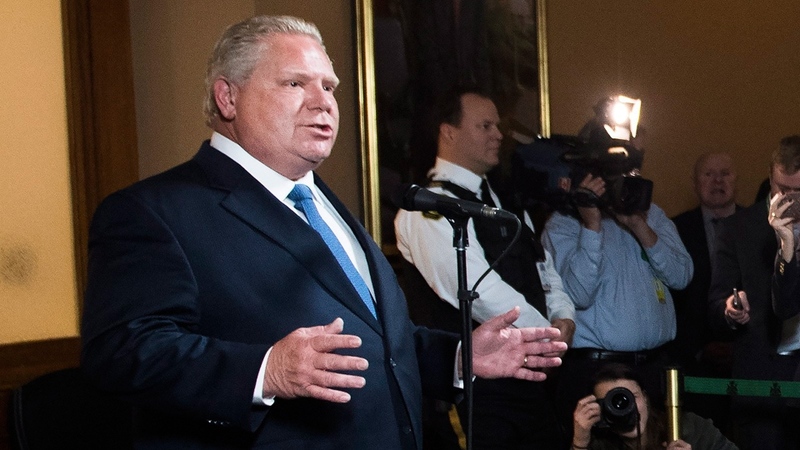 Ontario Premier Doug Ford is willing to “walk away” from the First Ministers’ meeting in Montreal tomorrow, CTV News has learned, if the prime minister and federal government don’t give in to provincial demands to change the official agenda. Government sources tell CTV News that Ford is expected to tell Prime Minister Justin Trudeau that the agenda is “unacceptable” during a one-on-one discussion that’s scheduled today, ahead of the meeting. Sources say Ford is willing to attend the meeting if topics such as the carbon tax, the auto sector, and asylum seekers are added to the agenda, and if Trudeau participates directly in those discussions. 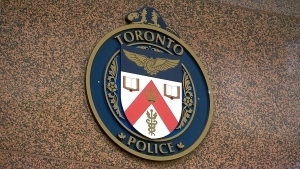 The Premier’s Office echoed the sentiment, saying a lack of flexibility could lead to Ford boycotting the meeting. “Premier Ford is not going to participate in any meeting that doesn’t represent the best interest of Ontario, and we are willing to come right back to Ontario,” Laryssa Waler, the premier’s director of communications, said. However, sources in the Prime Minister’s Office counter that Ford has been trying to convince some of the premiers not to show up in Montreal on Friday. According to those sources, the agenda has been changed to accomodate all the requests made by the premiers. 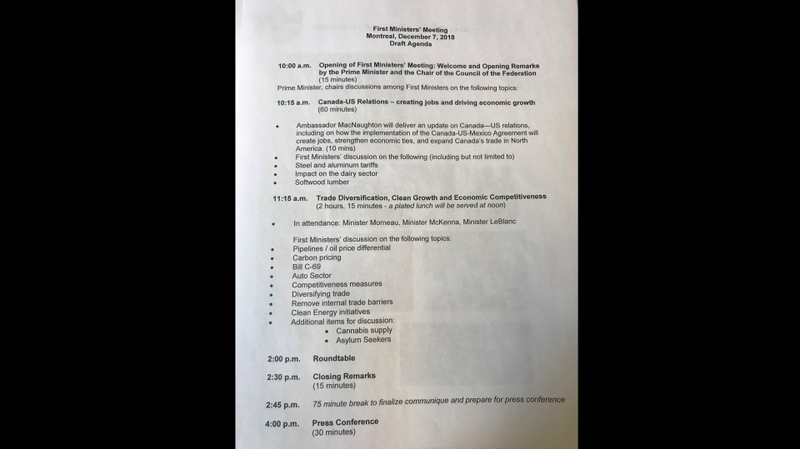 When the premiers were first presented with the agenda on Tuesday, a conference call was convened to discuss the topics highlighted by the prime minister. Sources with knowledge of the call say “all of the premiers” expressed concerns about the amount of time spent being “lectured to” by federal ministers Bill Morneau, Catherine McKenna and Dominic LeBlanc. CTV News obtained a copy of the draft agenda that was sent to the federal government, which asked for a 90-minute discussion with the prime minister instead of 60 minutes and an additional 10 items to be placed on the agenda. The Prime Minister’s Office countered with an agenda that included discussions on the oil and gas industry, the impact of oil prices on Canada’s energy sector and energy workers. Sources in the PMO say the proposed format by the premiers is an excuse to justify Ford’s threat to walk away from the meeting.